Nowadays, being the Prime Minister of a country is a job that comes with a great number of advantages and privileges, both financial and non-financial. The list is quite long and it includes 24-7 security, private jets, cars, free travel and accommodation, excellent salary, magnificent residences, gifts from various foreign dignitaries, etc. However, being a Prime Minister in the 17th century was something completely different and the story of Johan de Witt can confirm this claim. 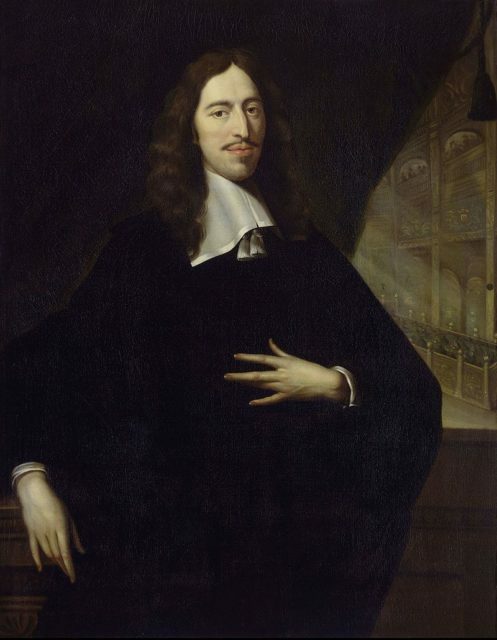 Now a largely forgotten figure, Johan de Witt was once a key figure in Dutch politics. He was elected councilor pensionary (the equivalent of a modern Prime Minister), in 1653 and served as the head of the Dutch government until just before his death in 1672. 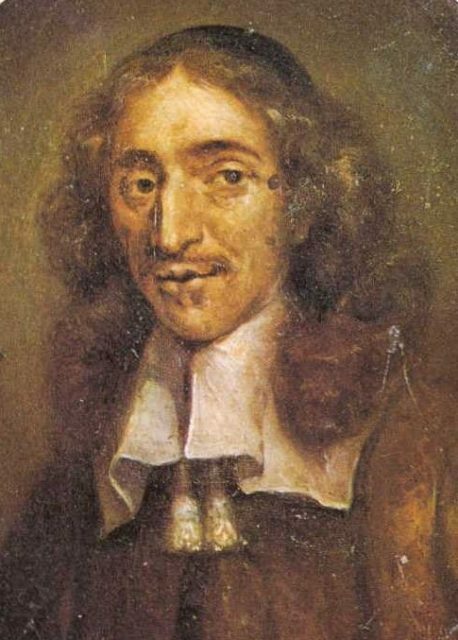 Portrait of Johan de Witt, Grand Pensionary of Holland. 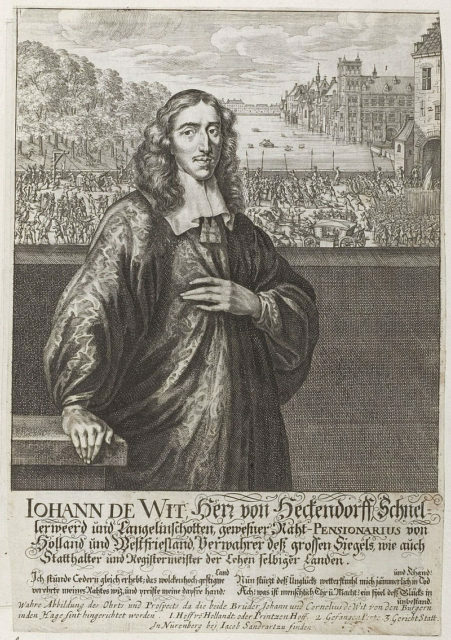 Born at Dordrecht on September 24, 1625, to a wealthy merchant family, Johan de Witt was educated at Leiden University where he distinguished himself as a great mathematician and displayed remarkable talents in jurisprudence. His father, Jacob de Witt, held several positions in public service, including treasurer of the Synod of Dort, burgomaster, and also served as an emissary to Sweden. Johan was only 19 years old when he and his elder brother Cornelius visited their father in Sweden as part of a diplomatic mission and later they also went to France, Italy, Switzerland, and England. Upon his return, Johan went to live in The Hague where he practiced law. In 1650, when William II, Prince of Orange died, Johan was among the people who created a fully republican regime and was appointed pensionary of Dordrecht. Johan proved himself to be an excellent statesman, becoming one of the most successful diplomats of that time and three years later, when he was only 28 years old, he was appointed councilor pensionary. He used his knowledge and diplomatic skills to transform his tiny country into a global economic power. At the time, when Johan de Witt was elected as Grand Pensionary, the Dutch were at war with the English, however, less than a year later, the Treaty of Westminster was signed and the war was over. One of the clauses of the Treaty of Westminster forbade the Dutch ever to appoint William III as Stadtholder. Oliver Cromwell insisted on this clause as William was a grandson of Charles I and there was a possibility that he could gain political power in future. In the years that followed, De Witt managed to strengthen the Dutch economy and his great diplomatic skills led to the forming of the Triple Alliance between the Dutch Republic, England, and Sweden. This alliance forced Louis XIV to halt his offensive on Spanish Netherlands. However, in 1672, also known as the “Year of Disaster” in Dutch history, Louis XIV declared war and conquered a large portion of the Republic. This was the beginning of the end for Johan de Witt. Now the Dutch people turned to William III of Orange for leadership and De Witt was denounced as a traitor. The Threatened Swan, c. 1650. A swan protects her nest against a threatening dog. 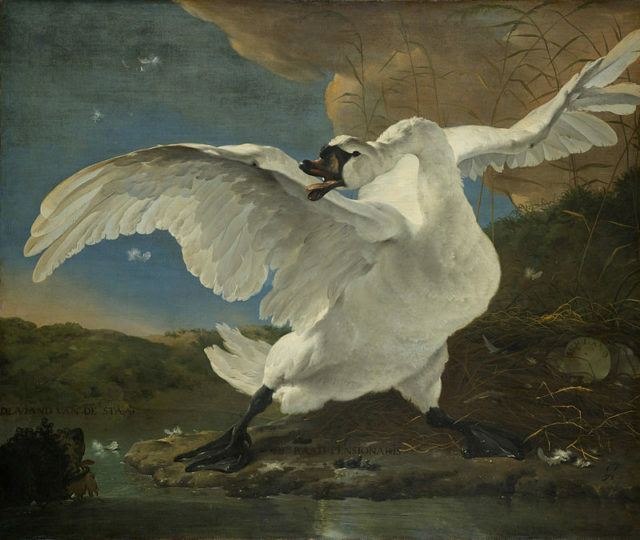 The scene was later turned into a political allegory by referring to the swan as Grand Pensionary Johan de Witt, protecting Holland against the Enemy. His brother was arrested on a charge of conspiring against the Prince and Johan was forced to resign from his post. On August 20, 1672, Johan de Witt went to visit his brother in the Gevangenpoort at The Hague. While he was there, an angry mob burst into the prison and butchered Johan de Witt and his brother Cornelius. According to History Extra, parts of their bodies were taken and eaten in a cannibalistic frenzy by some of the people among the mob.